Offload all your bill payment worries to us. You can set reminders for your bill payments, maintain your payment history and analyze your spendings. You can also create financial goals, and we help you save for your dreams. 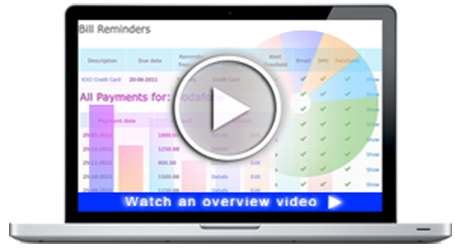 Manage debts and money you have lent out, with automatic reminders. We help you make smarter money management decisions, and best of all, it's FREE.